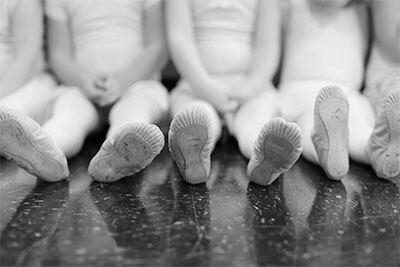 Pre Ballet (Age 5) - Calgary Dance Studio | Prestige Dance Inc. Introducing the love of ballet to our 5 year old dancers in a structured but fun learning environment! Pre-ballet introduces the pre-syllabus work while incorporating imagination activities to make the class interesting and engaging for our new ballet dancers. By the end of the pre-ballet year we hope to have our dancers working on the Pre-Primary RAD syllabus level and prepared for our Pre-Primary ballet classes in the year to follow. We follow the Royal Academy of Dance (RAD) teaching program, at Prestige Dance Academy, that originated in England and is taught all around the world. The RAD syllabus begins at the age of 4 and trains ballet dancers all the way to their graduating year with us at age 18. For the first half of the year our pre-ballet dancers will focus on learning the basic ballet steps and techniques. Half way through the year, pre-ballet classes will begin their year end recital choreography. Pre-ballet classes are 45 minutes long and take place once a week. Ballet classes will begin in September and run through to June where they would participate in the year end recital. Half way through the year, pre-ballet classes will begin their year end recital choreography. Recital costumes will be ordered in the winter and will arrive in the spring. The year end recital is always a highlight of the year when the dancers growth and improvement is showcased on stage in such a special setting! The colour of the dress code for ballet classes change based on the level of the class however, is generally a bodysuit and tights with ballet shoes. We ask our female pre-ballet dancers to wear a pink bodysuit, pink tights, a pink skirt and have pink leather ballet shoes. Our male pre- ballet dancers to wear a white t-shirt with navy stirrups or navy shorts with white leather ballet shoes. We require that anyone taking a ballet class wear their hair in a classical bun to all dance classes. Our studio is built on a solid foundation of Core Values and a love for dance. We foster a strong, warm, and welcoming environment filled with dedicated, passionate and certified staff. Our classes follow specific syllabi with a strong focus on technical and innovative training! We offer a wide range of dance programs including: Sessional, Recreational, and Competitive. Classes fill up fast. Register today! Register Here Send us a message!